Having a real tree for Christmas is great, but it can be a hassle going out and finding the right tree, driving it home, and then later disposing of it. That doesn't include the bugs that you might find its way inside your house. There's definitely a clear advantage to having a fake Christmas tree: you don't have to keep buying one every year and its always the perfect shape. The problem though is putting it away once the holidays are over. If your household has already gone with the artificial tree like mine, then you should definitely get the Santa's Bag Tree Storage Duffel. It'll make storage of your artificial Christmas tree easier. That way your tree remains dust free for 11 months out of the year. 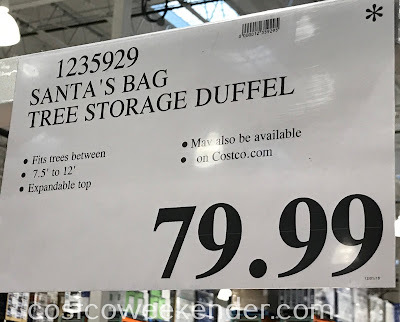 Not only that, but the Santa's Bag Tree Storage Duffel can compress your tree down. I know it's sometimes tough to get your tree small enough to put in storage with all the branches going all over the place. The Santa's Bag Tree Storage Duffel takes care of that problem. 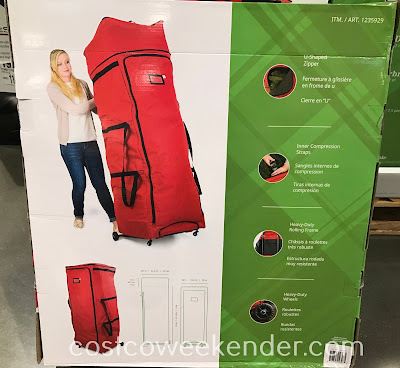 The wheels on the Santa's Bag Tree Storage Duffel makes hauling your tree to your garage, shed, or other storage easier as well since these fake trees can be rather heavy and unwieldy. 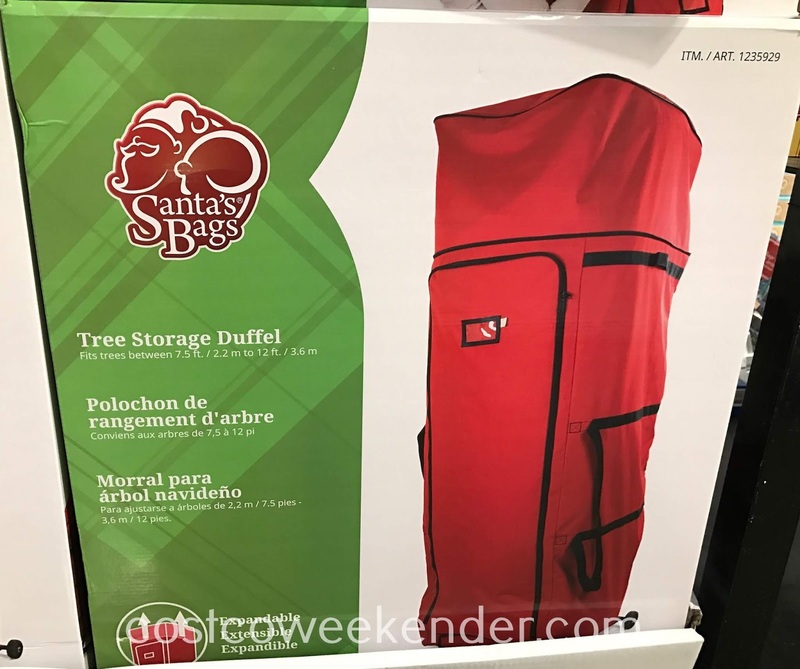 The Santa's Bag Tree Storage Duffel is definitely a "must have" for any family with a fake tree for Christmas.